What Makes APAP Different From CPAP? Continuous Positive Airway Pressure (CPAP) has been the long-standing leader in sleep apnea treatment. It delivers a continuous, steady stream of pressurized air that keep your airways from collapsing and causing apnea events. After a CPAP titration study, your sleep technician and doctor determine what the proper amount of pressurized air that you need to keep your airways clear of obstructions, and set your machine to that number. CPAP machines can only be set to one pressure setting that remains consistent throughout the night. Regardless of body position, weight loss or gain, or what stage of sleep you are in, the air pressure from a CPAP machine doesn't change. APAP on the other hand, has two settings, a low range setting and a high range setting, that the machine will fluctuate between throughout the night as it automatically adjusts itself to suit your particular needs at any given moment throughout your sleep. APAP machines use algorithms that sense subtle changes in your breathing and adjusts itself to the best pressure setting at any time of the night. 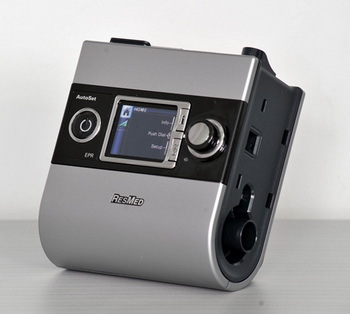 Most APAP machines can also be set to a straight CPAP mode. If you have an APAP machine and find that the auto-adjusting pressure settings don't work for you, and you want to re-try a single pressure setting, your APAP machine can be reset to CPAP mode. This feature allows you to experiment with both modes as you discover which titration therapy works best for you. APAP machines are able to automatically adjust to different pressure settings between your low range and high range settings. This is great because most people don't have the same breathing needs throughout the night. The APAP machine can lower its pressure settings when you roll onto your side when apnea events are less likely to occur, and raise the pressure when you roll onto your back where apnea events are much more likely. During REM sleep, the body becomes much more relaxed and your throat muscles get more flaccid, increasing the need for higher pressures that an APAP machine can adjust to. CPAP machines are often calibrated to your REM sleep needs where the pressure to keep the airways open is highest. This means that in other stages of sleep where a higher pressure isn't required, a CPAP machine will still produce the pressure needed during REM sleep, which may cause discomfort in some sleepers. If you have seasonal allergies, a cold, or a respiratory infection your airways become more congested and breathing more difficult. During these times more pressure may be needed to reduce apnea events. Your CPAP titration setting may be perfect for you right now. But what about over time? Changes in your health such as weight loss/gain can require higher or lower settings, which an APAP can automatically adjust to accordingly. With a CPAP you may need to schedule a new titration study to recalibrate your pressure settings. The algorithms that the APAPs use for adjusting pressures varies from one manufacturer to another. This may make prescribing the best machine for you a little more difficult as APAPs are not as standardized as CPAP machines. However, an experienced sleep technician familiar with the various machines can help you make the best selection possible. The changes in pressure settings can sometimes be a little slow to react to your ideal pressure needs, especially during apnea events. To combat this, dialing in your optimal pressure sweet spot is key to APAP success. APAP machines generally cost more than CPAP machines. It used to be that patients had to fail at CPAP use before insurance companies would approve of the APAP upgrade. 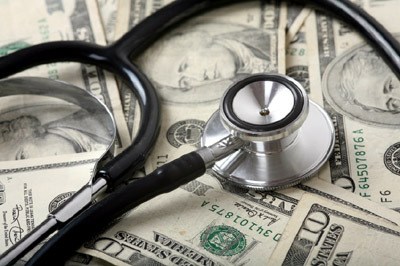 However, more and more insurance companies are beginning to recognize the benefits of APAP because of its higher average rate of compliance than CPAP use, and are more likely to pay for it upon a sleep clinicians recommendation. CPAP therapy continues to be the forerunner for obstructive sleep apnea. For many people, the single air pressure setting is more than adequate to combat their sleep apnea events. At The Alaska Sleep Clinic we have been listening to our clients' feedback on the use of their CPAP and APAP machines and are increasingly recommending APAP use for initial treatment rather than as backup for CPAP use. Compliance with treatment is the one sure key to successful sleep apnea therapy, and the more we are hearing positive feedback about APAP use, the more we are prescribing it to newer users. When you schedule your sleep assessment, make sure to ask your clinician if they think APAP may be the right therapy for you.